With the expiry of its lease, a re-vamped name and a new co-owner, it seems like all signs pointed to a move for Halifax Cycles (formerly Halifax Cycle Gallery, 6299 Quinpool Road). This weekend the shop, and all of its beautiful bikes, will move to 6056 Almon Street (across from the new RONA), with the aim of re-opening there on July 2. Jenna Molenaar, longtime employee and newly dubbed co-owner of Halifax Cycles with Roger Nelson, says they'll still focus on utility and city bikes, will expand on repairs and the unique accessories (like say, Euro-style cycling bags) in store. Expanded hours are also in the works. But, the best news? 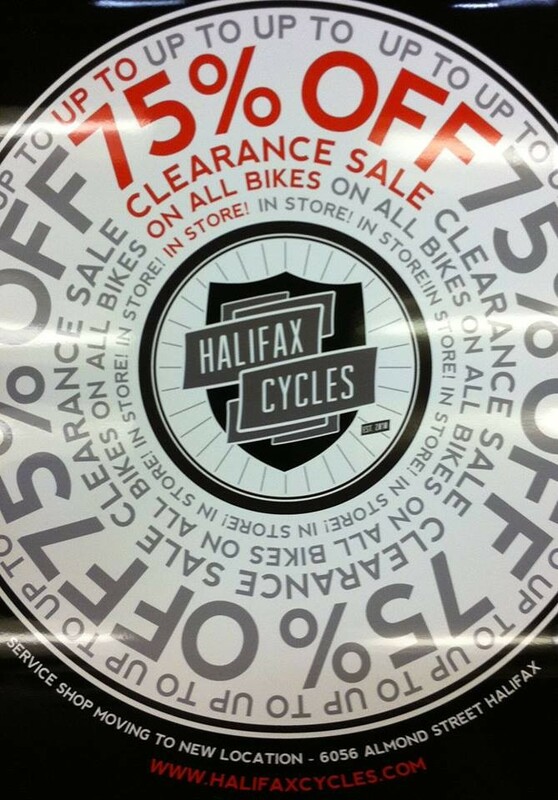 This week, to lighten the moving load, Halifax Cycle is having a major blowout at the Quinpool Road location. We're talking up to 75 percent off of their remaining inventory. If you've been holding out on a new set of wheels, hold out no longer.